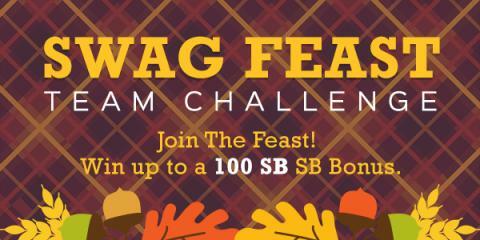 Swagbucks is holding a Swag Feast Team Challenge to help you earn free gift cards! If you've never tried Swagbucks before because you didn't know where to begin, their Team Challenges are a great way to learn the ropes and earn points towards free gift cards and PayPal cash! The challenge runs from Monday, November 13th until 12pm PT on Friday, November 17th.